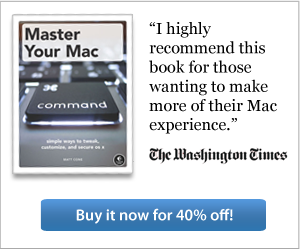 Creating a document in Microsoft Word for Mac? 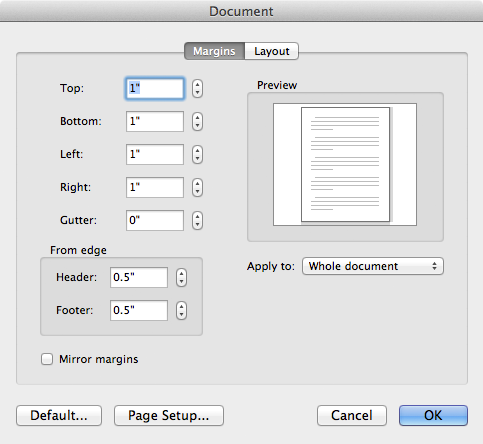 Depending on who you're creating the document for, you may have to change the document's margins. Many organizations such as schools and legal entities have very strict guidelines regarding the margins. From the Format menu, select Document. The window shown below appears. Change the values in the the Top, Bottom, Left, and Right fields to adjust the margins. By default, all values are displayed in inches. Click OK. The margins in the open document will be changed. That's it! You've successfully changed the margins in your Microsoft Word document. When you save and the print the document, it will have the correct margins.